Holly Alderman focuses her practice on commercial real estate matters and typically represents local, regional and national retail, residential, restaurant, office and mixed-use development clients in the assemblage, acquisition, development, leasing, financing and disposition of properties. Ms. Alderman also has a wide range of experience in preparing the legal infrastructure for residential communities and retail developments, including property owners’ association documents, declarations of restrictive covenants, condominium declarations and sales contracts. She has represented lenders and borrowers in connection with acquisition and construction loans and the work-out of distressed loans. 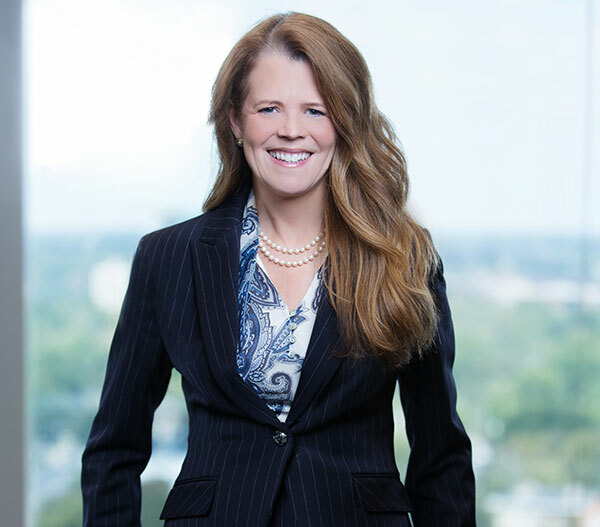 Prior to joining Schell Bray, Ms. Alderman was Vice President of Commercial Transactions and in-house counsel for Investors Title Insurance Company. There, she was responsible for establishing and managing the company’s commercial transactions department, overseeing the placement and acceptance of reinsurance, and drafting and negotiating agreements in connection with reverse tax deferred exchanges for a company affiliate in its capacity as exchange accommodation titleholder. Ms. Alderman, her husband, Neil, and their two children enjoy playing tennis, traveling, gardening and cheering the North Carolina Tar Heels on to victory in a variety of sports.